Our new remix to : Nirvana - Smells Like Teen Spirit we will be happy for a comment & like & share thanks ! Pondora ♥ Enjoy ! Cheers Fam...Here's mt most recent set from Jan2016 ((Progressive Psytrance))Look forward to connecting! Download link ! www.liquidseed.net/releases/lsd018-seeds-of-thought-va-compiled-by-a-i-a Ambient Intelligent Application (A.i.A) Are proud to serve 9 unique compositions from well-known and established Greek artists of the ambient down tempo scene aiming to travel listener to fields where seeds of thought grow. Compilation released free from Liquid Seed recordings Let the music vortex to open the path for peaceful thoughts... Love and light A.I.A Mastered and Engineered by Konstantinos Georgiou @ gk.audio.studio Artwork by Athanasios Kousouris ( final edit by Angelo Zs) Seeds of thought V/A compiled by Konstantinos and Athanasios Kousouris (A.i.A.) Seeds of thought V/A was released for free in Liquid Seed recordings (liquidseed.net) under a Creative Commons Attribution-NonCommercial 4.0 International (CC BY-NC 4.0).http://creativecommons.org/licenses/by-nc/4.0/deed.en_US Listen to the artists Consiousness Federation - https://soundcloud.com/consciousness-federation Deep In Mind - https://soundcloud.com/deep_in_mind Strange Zero - http://www.strangezero.gr/music.html I.X.O.P. - https://soundcloud.com/ehor Psypunk - https://soundcloud.com/psypunk-st Memphidos - http://memphidos.bandcamp.com/ A.i.A. - https://soundcloud.com/a-i-a Miktek - http://miktek.bandcamp.com/ AlphaTek - https://soundcloud.com/alkan-ruller Nortoel . A couple of free download albums available for a limited time! Just a quick note to let you know that I'm finalizing Dubtrak's last remix album "reTRAKed" release on Boom One Records label and now is the time to grab its copy, while it's still available as a free download! In addition, get your copy of Dubtrak's 2011 album "Rapture", orginally released on Renegade Recordings, also available now for a limited time as a free download. 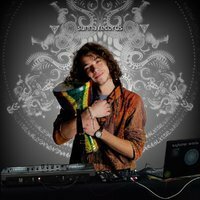 Follow this link to find all Dubtrak's releases available on BandCamp: http://dubtrak.bandcamp.com Feel free to share it on Facebook, Twitter and everywhere else! And for all you downtempo chillout groove lovers I've got hours and hours of pure bliss waiting on my MixCloud page: http://www.mixcloud.com/dubtrak/playlists/yoga-mixes-by-dubtrak/ Downloadable versions of these mixes are available on the Mixes for Yoga blog: http://yogamixes.blogspot.ca/ (alternatively you can subscribe to iTunes podcast and download it from there).